The former cricket hero and likely new premier wants to fight corruption and improve the lives of the poor. It’s fanciful given the likely demands of a bailout of the $300 bln economy by China or the IMF. Khan’s agenda is also hard to reconcile with Pakistan’s powerful army. 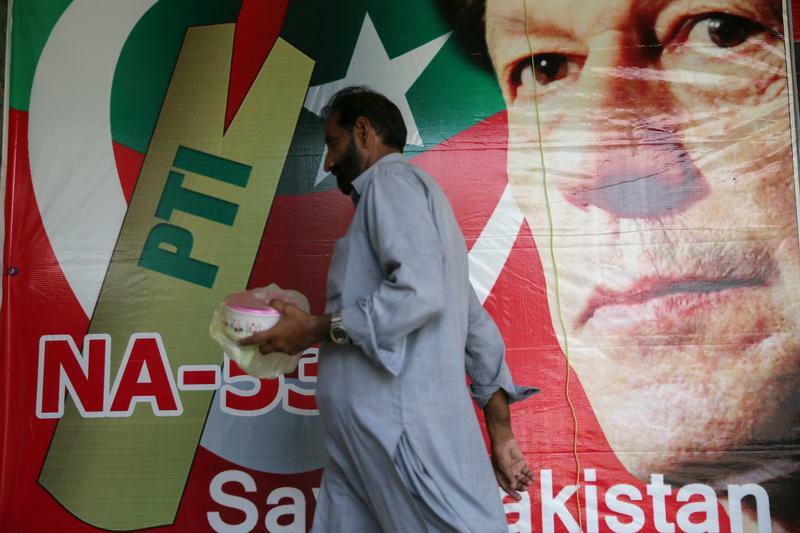 Pakistan's likely new prime minister Imran Khan opened coalition talks with at least one smaller party and independent politicians on July 29, a spokesman said. Khan's Pakistan Tehreek-e-Insaf (PTI), or Pakistan Movement for Justice, won 16.9 million votes and 116 seats in the election held on July 25. That was short of the 137 required for a majority, but ahead of the party of jailed former premier Nawaz Sharif which secured only 12.9 million votes. The PTI spokesman said Khan was expected to take the oath as prime minister around Aug. 14. The country is drawing up plans to seek its largest ever bailout from the International Monetary Fund, the Financial Times reported on July 29, citing government advisers. The country was likely to need a loan of between $10 billion and $12 billion. Sharif’s Pakistan Muslim League-Nawaz (PML-N) party has complained of vote-rigging, and alleged that the poll was skewed in favour of the former cricket hero by Pakistan’s powerful military. In their preliminary findings, a European Union monitoring team said the overall electoral process, particularly the run-up to the election, was "not as good" as the 2013 poll. The United States voiced similar concerns. Two newly formed small parties are seen as being open to an alliance with the PTI. Pakistan’s KSE 100 Index has risen 3.5 percent since the polls closed.